To achieve the greatest possible accuracy in an English translation of the original Hebrew and Greek texts, the translators of this readable, modern Bible version have attempted to write what is, as much as possible, a “word for word” rendering of the text. 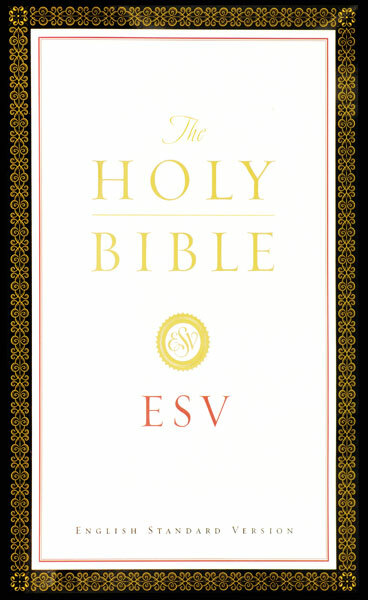 The authors of the English Standard Version, ESV, published in 2001, view their work as a continuation in a long line of solid, true, and beautiful English versions of the Bible, beginning with the New Testament of William Tyndale in 1526. While modernizing archaic language and correcting certain errors in key portions of text, the translators have labored to preserve the enduring language of their predecessors in a Bible version that is true to every God-breathed word of Scripture.